Zep Microwave Miracle Cleaner is like nothing I have seen or used before. First, let me tell you how my microwave gets quite a workout. We nuke just about everything. With erratic schedules, comings and goings, we do most of our cooking in the microwave. Soup is pretty popular in my household and when heating it in the microwave, the vegetables tend to explode causing splatter. Frozen microwave prepared dinners are guilty of this as well and to add insult to injury, we warm our cat food and dog food in the microwave. Cleaning it has always been such a chore! You can imagine my delight when I had the opportunity to try this new product from Zep. It has a pleasant citrus scent and comes in a pump which creates a cloud like foam when squirted. I covered the carousel with the foam and then turned on the microwave for a couple of minutes. I could see it steaming and the food begin to melt on the walls. When the cycle was complete, I took a damp sponge and wiped it clean. Cleaning my microwave has never been so easy. I definitely would recommend this Zep Miracle Foaming Microwave Cleaner to anyone who wants a sweet smelling, sparkling clean microwave with little or no effort! Zep from Crowdtap Great Stuff @ZepCommercial, #MicrowaveMiracle, #ZepCleansters, #TryZep, and #Sponsored. Mineral Fusion is a new full line of makeup that is cruelty free and certified with leaping bunny. This is always an important point for me because I will not use any cosmetics that have been tested on animals. Mineral fusion is all natural and made of minerals as the name implies. This makeup is high end without the high end pricing. It can be purchase at Target, however not all Targets carry it. Hopefully they we add this product to their regular lines. They have concealers, mascara, eye shadow, foundation, blush and bronzers. I received a coupon for $29.00! A pretty good coupon! I was told to go to my local Target and purchase a product of my choice. Well, every week on my visit to Target, I checked the makeup isle and asked the personnel when they would carry it? Hopefully before the coupon expires. 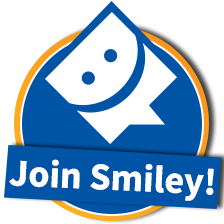 I did have to get it online, so unfortunately was unable to use the coupon which I was issued for my Smiley 360 mission. I chose the blush. It went on like you would expect for mineral makeup and gave me a hint of color on my cheeks. I like that it is a complete system and has primer, foundation, and everything needed for a beautiful you. I can't wait until my Target is fully stocked because I need and want some new spring colors. Lipsticks, nail polish and eyeshadow. Disclosure: I received a coupon for a free Mineral Fusion product in return for my unbiased review. Mineral Fusion’s full line of mineral cosmetics creates a synergy where beauty and skin care become one, instantly perfecting your complexion while improving the condition of your skin. Our cosmetics are naturally formulated, combining exquisite mineral color with rich botanical actives and nourishing vitamins. We want your skin to be healthier after using Mineral Fusion® cosmetics. Minerals offer natural sun protection to shield your skin from the premature aging that sun exposure causes. Our products also help protect from environmental damage. We add age-defying antioxidants to all of our products – pomegranate, white tea, red tea and sea kelp, plus vitamins C and E – to defend against free radical damage. In addition, we enrich our products with specialized botanicals to provide targeted treatment that soothes and nourishes your skin. Our cosmetics are free from parabens, artificial colors, fragrances, gluten, phthalates and talc to ensure that even the most sensitive skin stays beautiful. Mineral Fusion® partnered with the National Coalition Against Domestic Violence to help raise awareness of this growing problem and show these brave women that they are not alone. We support the work of the NCADV by donating a portion of our profits and by sharing product with NCADV sponsored shelters. Liquid chalk by Colore is like nothing I have seen before! These markers are like chalk in the way that it wipes off and like magic markers the way it goes on. The colors are magnificent. They are bright and vibrant and working with them make me feel happy and inspired. There are so many practical uses for these markers.
. I purchased some plain glassware at the dollar store and decorated them for the occasion. It comes off easy with a damp cloth yet will not easily rub off on your hand. You can decorate your windows for holidays, can be used on dry erase boards or blackboards which are non-porous. Whenever I have a gathering with a lot of people, water bottles and beer bottles all look the same and when you put it down someplace you never know whose is whose. With these markers, you can write names right on the bottle. You can use your fridge as a message board. Write right on it, go ahead, it will wipe off! So many uses. The kids love them too for school projects or creating art on a rainy day. They get a kick out of drawing on mirrors and windows. These 8 liquid chalk markers come with a bright vinyl caddy which is decorative as well as functional. The only cons that I encountered is the priming process. In order to get the color to the tip, you have to shake and prime. It takes a minute or so per marker. Other than that, it works great. I was happy to have been able to purchase this product at a discount in return for my honest unbiased review. Write names on water bottles at parties so you know who it belongs to. Much less waste. I have been seeing this supplement in the news as well as internet advertising lately. One of the infomercials that I saw said that this is considered a superfood which has everything needed for survival and is promoted as a longevity food. In other words, take it, eat it and live longer. As a matter of fact. scientists from the US Space Program at NASA have studied Spirulina as a potential food source for space travel and settlement of space stations due to its remarkable nutrient profile. I was curious about this superfood and started my research. Aren’t we all looking for the fountain of youth? I was surprised at the plethora of information on this supplement and all it is said to do. It is said to help allergies, menopausal symptoms, PMS, Immune system, anxiety, depression, memory, heart disease, wound healing, digestion, high cholesterol and diabetes. It is also said to aid in weight loss and gain. It is high in protein. it is the most nutritious, concentrated wholefood source found in nature. I was given the opportunity to try these supplements, at a discount in return for my honest review. The gel capsules hold the powdered spirluina which digest quickly. There was a little bit of a repeat taste so I recommend taking it with food or plenty of fluids. The capsules were easy to swallow. They smell like seaweed which is what spirulina is, a blue-green seaweed. My cat got a whiff of them and was very interested. I am hoping that this may help my blood sugar and also aid in weight loss. It is a small pill but loaded with protein. Lastly, you want to purchase a product that is pure and made in the US to be sure that it is manufactured under strict regulations. You don’t want any parasites in your spirluina. This supplement comes from BRI Nutrition located in Delaware who are committed to providing their customers the highest quality and service. I have not been taking it long enough for any measurable results, however I do have a more energy and a feeling of well being which I attribute to the spirluina supplements from BRI Nutrition. It passed the Cat Scan! Disclosure: I received this product at a discount in return for my honest review. I’ll be honest, I got this for my husband. I thought I would pamper him and tame his beard at the same time. As he gets older and grayer, his beard seems to get more bristly or pinchier. I asked him if he would be willing to use this product if I got it for him to review and he said he would give it a try. At first he wasn't sure what to do with it. The directions say to put a dime size in the palm of your hand and work it into the beard. Men tend not to follow instructions so he used a little more than recommended. He must have liked it if he kept dipping into the jar. When I asked him how his beard felt to him, he said he thought it was a little greasy but he didn't use as directed as I pointed out. He said he will try again. The second time was a much better experience. His beard is softer and he said it is less itchy since using the beard balm. I can feel the difference as well, less beard burn on my face from smooching. It smells so good too. It has a fresh clean scent. No more strong men’s cologne scent over top food smells. So for the two of us, it is a thumbs up. You may not be able to see a difference in the photo but with all those wonderful moisturizers it feels softer and smells better. I was excited to be able to try this age defense neck cream by Body Merry. The neck skin is very sensitive and often neglected. We tend to pay close attention to our face and slather it with moisturizer but how many people forget their neck? I was starting to develop a turkey neck! This cream is super fine and smooth as silk. It glides on easily and absorbs quickly. I guess my neck was thirsty! It does have a bit of an odor, not a bad smell but not flowery as you might expect. It actually has a coco or earthy smell to it. It does not linger so you only smell it when applying the cream to your face. This beauty cream is natural and not tested on animals which is very important for me. I will not purchase products that have subjected innocent animals to cruelty. Lift, firm and hydrate the delicate skin of your neck and chest with Body Merry's Age Defense Neck Cream - a powerful moisturizer that firms, smoothes, moisturizes and improves the suppleness and elasticity of your décolleté. This picture was taken before using Body Merry Neck Cream. After 2 weeks of using Body Merry Neck Cream, twice a day. Firmer and less sagging. A great compliment to the Body Merry Neck Cream, is the Body Merry eye cream. Like the neck cream, it too is made of all natural ingredients and is cruelty free. Body Merry age defense eye cream has all sorts of powerful ingredients, vitamins, minerals and oils, yet no harsh chemicals. It has a pleasant odor and feels smooth and cool when applied. No fumes get into your eyes and you can rub this all over your lids without any eye stinging or skin tingling. It actually feels good. EASY ON YOUR EYES: This lightweight formula is a gentle and effective solution for all your eye woes including Dark Circles, Wrinkles and Puffiness. You can now let your eyes express everything but your age! 70+ POWER PACKED INGREDIENTS: The only eye cream on the market that has over 70 power packed ingredients including: Vitamins C + E + B5, Peptide Complex, Amino Acid Emulsification, Hyaluronic Acid, Retinol, Antioxidants, MSM and many many more! NATURAL & ORGANIC COMPONENTS: It has potent natural and organic ingredients such as Aloe, Rose Hip Oil, Jojoba Oil, Coconut Oil, Beeswax, Cranberry, Licorice, Sunflower Oil, Borage Oil, Flaxseed Oil, Evening Primrose Oil, Lavender, Calendula, Chamomile, Witch Hazel, Cocoa Butter, Cucumber, Green Tea - to name just a few! No harsh chemicals such as Parabens, Sulfates and Phthalates. MADE IN USA + CRUELTY FREE: The cream is made in the USA in an FDA registered and GMP compliant facility. It is not tested on animals. MANUFACTURER GUARANTEE: Body Merry's products are backed with a 90 Day 100% Satisfaction Guarantee. If you don't like this cream, just contact us and get a full refund. Best of all, you don't even need to return the bottle. When you are in your 20's and 30's you don't much think that you will ever get old. At least I didn't. I was young, beautiful and had nice skin but when I got into my 40's and 50's I started to see changes. My laugh lines became wrinkles and crows feet. I am not afraid to get old, but I would like to do it gracefully. Body Merry is a great company dedicated to create quality products that are manufactured in an FDA registered GMP compliant facility. You are never too young or too old to develop a beauty regime for your skin. These are high quality products which are backed by a 90 day money back warranty. You have nothing to loose and everything to gain. These products only require a small dab, so a little goes a long way. They are high end beauty products yet very affordable. Although I received these products in return for my honest review, I definitely will be purchasing their products again. Body Merry (I love that name) also makes a cellulite cream which I hope to try as well! Disclosure: I had the opportunity to try this product, in exchange for my honest review. All opinions are 100% my own.